Dame Louise Casey was recently questioned by the Communities and Local Government Committee on her report about social integration, the Casey Review, which published in December. Although the Review mentions various communities, there is a clear emphasis on Muslims. 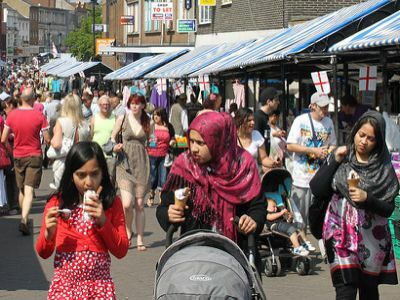 Issues including religious conservatism, segregation and inequality in Muslim communities are cited as barriers to cohesion in Britain. These problems do exist, and organisations such as Muslim Women’s Network UK have been working on them for a number of years. There are some Muslim women who are told what to wear, or who are stopped from pursuing further education or employment. This is completely unacceptable and we must all stand together to oppose it. However, there are also many Muslim women in the UK who are doctors, lawyers, accountants and teachers. So while religious and cultural conservatism presents a problem for some of these women, there are also many others who are actively engaged in and part and parcel of British society. Moreover, much of the inequality faced by Muslim women comes from outside of their communities. Earlier this year the Women and Equalities Committee found that Muslim women encounter triple discrimination when trying to enter into the workplace as well as when in employment. They face a penalty for being a woman, for being from an ethnic minority background, and for their religion. Why are women from Muslim communities who do take steps towards integration punished for doing so? Another central argument of the Casey Review is that “Too many public institutions… have gone so far to accommodate diversity and freedom of expression that they have ignored or even condoned regressive, divisive and harmful cultural and religious practices for fear of being branded racist or Islamophobic”. Although this is a relevant concern, there are many other factors at play. Apathy, ignorance, a lack of understanding of the issues and, sometimes, a desire to maintain the support of certain, usually male, community members (irrespective of their views) are also reasons for inaction. Quite frankly, it is shocking that some institutions think they can use alleged fears of being called racist or Islamophobic as a defence for not taking any steps and expect sympathy and understanding. And, if this was the real problem, how do we explain the triple discrimination that happens as much in the public sector as it does in the private? How do we explain the continued existence of misogyny and unequal position of women in mainstream society? In addition, the Casey Review expresses concerns that Muslims make up around 85% of the local population in some areas of the UK. However, is this really about Muslims choosing to segregate and isolate themselves? 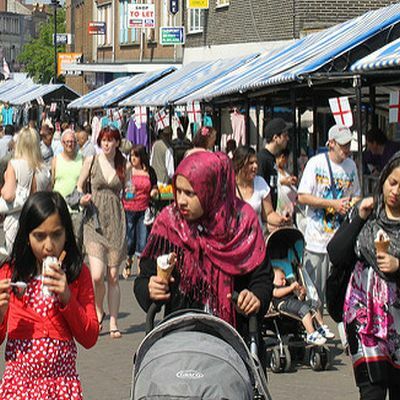 There are also areas predominantly populated by Sikh, Hindu, Jewish or White British communities. Some may have chosen to live near people of a similar cultural or religious background, but this is not true of all. Others may have had their choice made for them due to their socio-economic circumstances, or had to choose a particular area for convenience, such as being near relatives, their place of worship, or places to buy groceries. But that does not mean that they are segregated and not interacting with others outside of their communities in their day-to-day lives. During the examination session with the Committee, Dame Louise defended her recommendation to require immigrants entering the UK to swear an ‘Oath of Integration’ and pledge their allegiance to British values. She said that integration was “not a two-way street” and that the mistake Britain has made is to end up with “more give on one side [British nationals] and more take on the other [immigrants]”. A week after the Casey Review was published, we heard about a knifeman who stabbed a passenger at Forest Hill train station while allegedly shouting “death to Muslims”. Shortly after, a Muslim woman was assaulted and dragged across the ground by her hijab. Aside from not being clear on what ‘British values’ are (particularly since discussions on the topic lead us to universal values rather than those that are specifically British, and which underpin various faiths including Islam, Judaism and Sikhism), the question is – would the Oath have stopped these assaults? Isn’t this just another case of victim-blaming? Asking immigrants to recite a few words once in their lives is a very simplistic way of trying to solve a very complex problem. There are lots of different barriers to integration in Britain, many of which were not adequately addressed by the Casey Review. The blame for the current lack of community cohesion in some parts of the UK must be shared between employers, institutions and individuals, and each must be part of the solution.